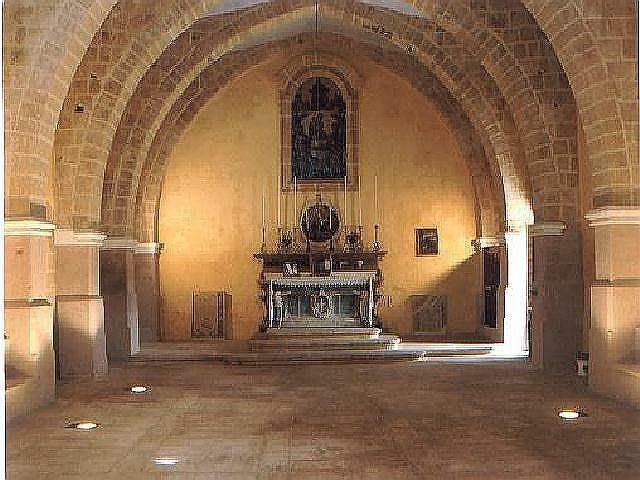 This chapel was built in around 1430 and is one of the best preserved examples of a fifteenth-century parish church in Malta. 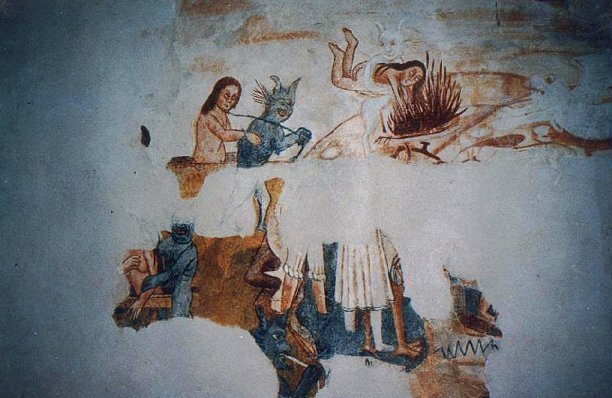 It has some interesting frescoes and provides the ideal setting for the annual Bir Miftuh music festival organised each spring by Din l-Art Helwa. Open first Sunday of the month 9.30 – 12.00 hrs, and by appointment. 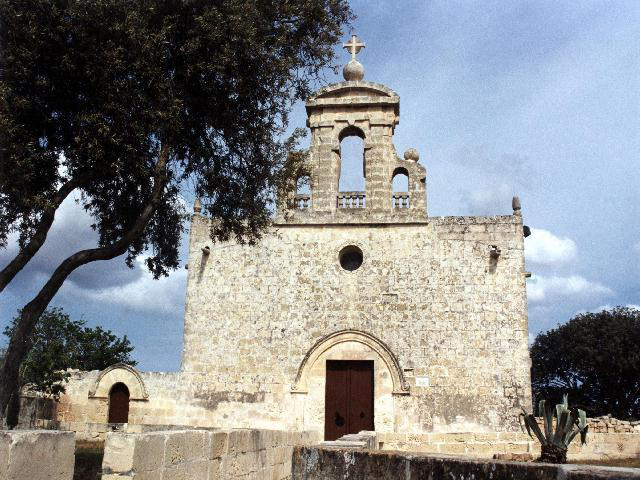 This Chapel located in Gudja is one of the best preserved examples of a parish church of the fifteenth century. It was declared a parish in 1436 by Bishop Senatore de Mello and served as such until 1676 when the Parish Church of Gudja was built. It was never in the centre of a village but was a parish church that served several villages. The Chapel is free standing and shows a growing confidence in the handling of stone structures. It has a plain rectangular plan and measures about eleven by fourteen metres. The remains of a fresco covering the inside western wall were discovered between 1978 and 1980 having been covered by six layers of lime. The fresco depicts The Last Judgement and is divided in three tiers of figures. On the north wall there is a picture of a woman in costume holding a lily in one hand and pointing to the main painting with the other. The clothes she wears were fashionable during the beginning of the sixteenth century. The portrait is probably of a benefactress from the Bonici family whose emblem is a lily. The altar painting probably belongs to the second half of the same century and depicts the figure of God surrounded by angels in the top of the panel. Below is a hilly landscape where the Virgin and Child sit on clouds flanked by St Peter and St Paul. The Chapel suffered from War damage in 1942 and was repaired and a new floor laid by the parish priest of Gudja, Father Rapa. It became a Trust of Din l-Art Helwa in 1970. The frescoes were restored by George Farrugia, Diplomato Istituta del Restauro, Roma and Associate of the Internationmal Institute for Conservation. Further restoration involved replacing the floor laid in 1942 with globigerina limestone flagstones and paving the outside areas adjacent to the walls. Regular inspections by restoration experts are carried out on the frescoes. The Chapel is an ideal setting for the Bir Miftuh International Music Festival held regularly in the summer since 1997. In 2004, restoration of the churchyard at the back of the chapel was completed.